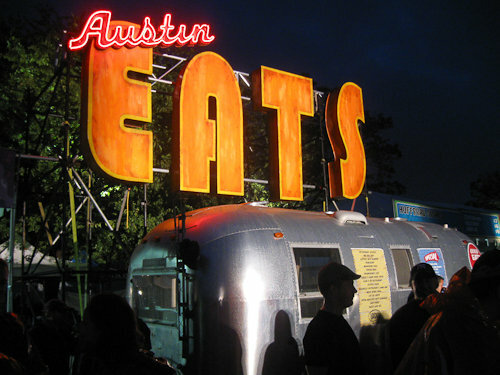 Every year, the organizers of the Austin City Limits Music Festival are faced with the huge challenge of feeding tens of thousands of people a day during the 3 day long festival at Zilker Park. 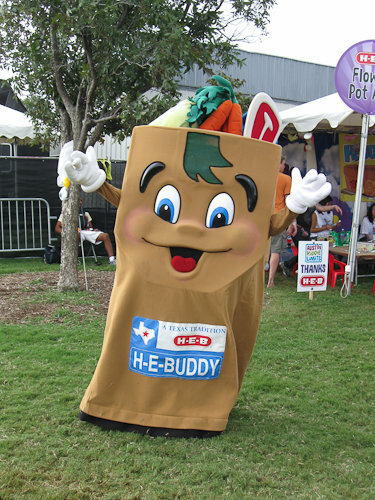 Things have not always run so smoothly – I distinctly remember waiting for 2 hours in line at the very first Austin City Limits Festival at one of only 2 food booths for a plain hot dog and a bottle of water in the 95 degree heat. My what a long way the festival has come! 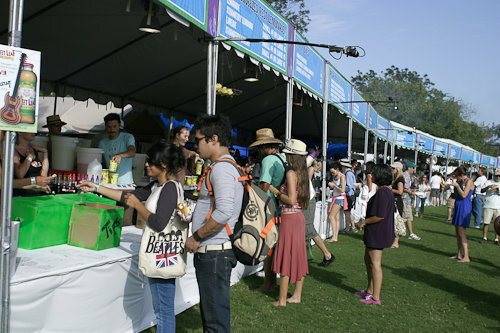 The 2009 ACL food court boasted dozens of food vendors and there were another dozen beverage tents scattered around the park – most all of them with little to no wait. With so many options, it was difficult to choose where to eat every day. No worries though, I’ll give you the lowdown on what I had this year at ACL so you can make an informed decision next year. Walking back and forth across Zilker Park sure does make a guy hungry, and skating through 3 inches of soupy, smelly mud strangely left me starving as well. You can probably tell what day I had each item on based on the condition of the ACL lawn. 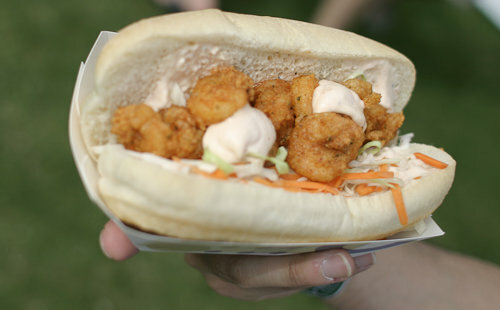 $8 – Aquarelle Shrimp Po Boy – a well balanced sandwich – the main ingredient actually tasted like shrimp (vs deep fried batter) and the texture of the shrimp was awesome, not overcooked at all. Fresh cabbage and carrots complimented the shrimp very well. Some friends thought that Aquarelle went a little heavy on the mayo based sauce to counteract the thick bread, but I thought it was fine – I would get this again for sure – The only drawback was that it was a little pricey. 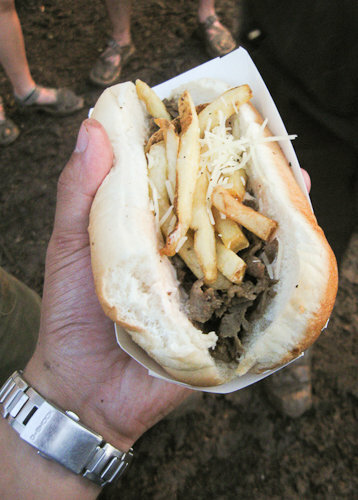 $8 – Aquarelle Steak Frite Sandwich – contained well marinated thinly sliced beef with Fries and fresh Parmesan cheese on top. The first couple of bites were very good but afterward I felt that the sandwich was bit salty – I couldn’t taste anything about halfway through my meal and had to take a bit of a break. I’m guessing the meat was heavily seasoned to counteract the thick bread. The fries were very tasty with the Parmesan on top. I might get it again… probably would have been better with a beer to wash away the salt – the price is high though. 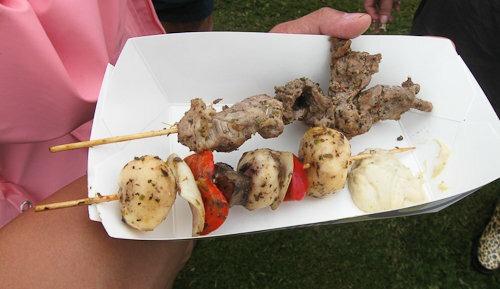 $5 – Jezabel Pork Skewer + Veggie Skewer Combo – Pork skewer was very tasty and well spiced – Veggie skewer had well seasoned potatoes, mushrooms, red peppers, and onions. This meal was an awesome value for the money, the 2 skewers filled me up and I got some veggies for the day. All of the food was flavored well but not over salted. I would definitely get this again. 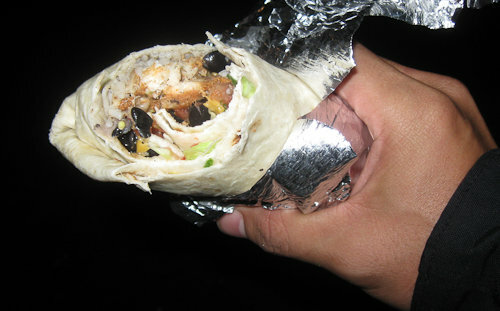 $6 – Wahoo’s Fish Burrito – awesome, it’s spicy to add flavor but there’s not too much heat. Despite having a ton of ingredients in the burrito, each component has a reason for being there and the flavor combinations work well. The burrito was pretty large too so it kept me full for a while. I would definitely get this again – The only downside is it’s available at Wahoo’s year round (so it’s not a special ACL only treat). I guess that’s good for me when it’s not ACL though, I’m actually considering going there for lunch. 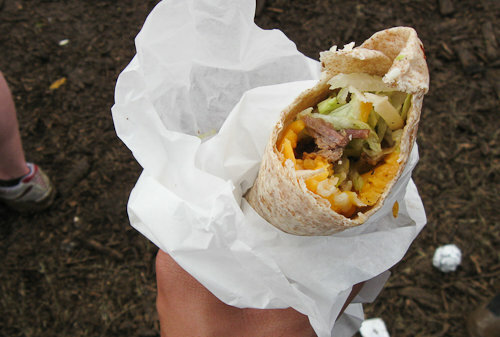 $7 – Thistle Cafe Steak Wrap – eh…. it was disappointing. Although it tasted OK, the ingredients tasted like standard grocery store iceberg lettuce and cafeteria American cheese with decent marinated beef. When it tastes like I could easily make the same meal with one arm tied behind my back and I am paying good money for it, it’s a major culinary buzz kill. A big PASS on this next time. 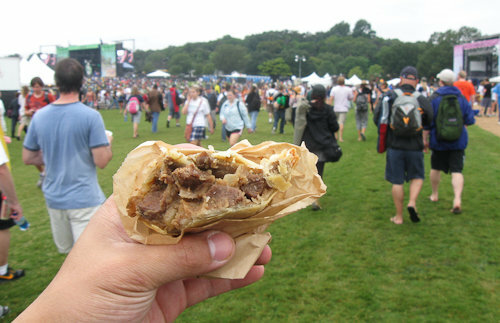 $6 – Boomerangs Guinness Beef Pie – very savory meat if a little salty but it had a wonderful, flaky, buttery crust. It is a bit dense and rich, but it tasted really good when it was cold and rainy out. You can buy this year round at Boomerangs on the drag so I would probably get it again if I was in the mood for it, but wouldn’t go out of my way to get it at ACL. Beer tip – regular 12 ounce beer cans run $5 but double sized 24 ounce cans cost only $8 – The options are Bud Light, Lone Star, and Heineken – all cost the same. The best value and the best tasting beer here is definitely the 24 ounce Heineken. I would get this again next year – just be careful… the lines at the restrooms are a bit scary! 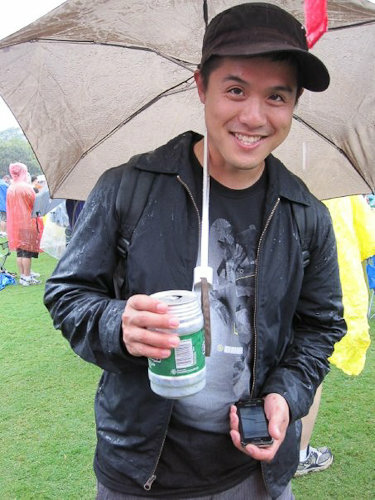 See you at ACL 2010!